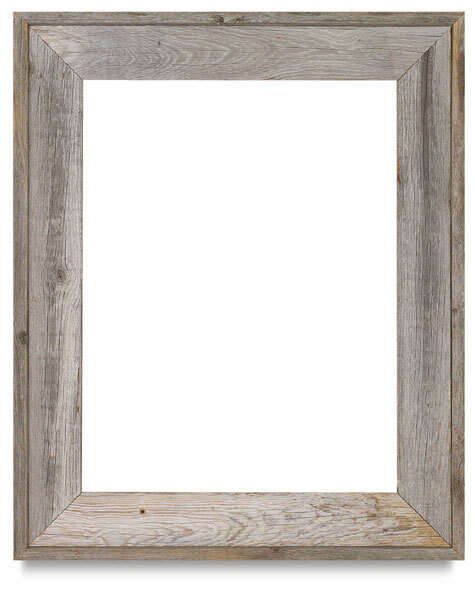 This frame has all the charm and character of a rustic barn, such as knot holes, nail holes, various tones of weathered gray, and rough-hewn textures, but looks are deceiving. One look at the back reveals that this frame is actually made of new spruce and cedar wood that has been carefully "aged" to perfection. The Rustic Barnwood Frame is safer for your artwork than wood that has actually been exposed to years of weathering and pollution. It's the perfect complement to a rustic decorating style. 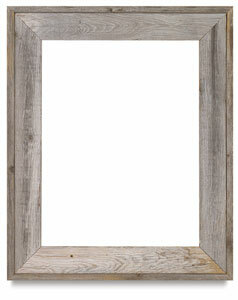 This frame is made to enhance folk art, wilderness art, antique art, or photos, and, of course, barn art.